1. Skipping the permit office. It might seem like no big deal to skip a permit for knocking a small hole in the wall to add a window to your study, but your city’s Planning and Zoning Department is going to disagree pretty hard. 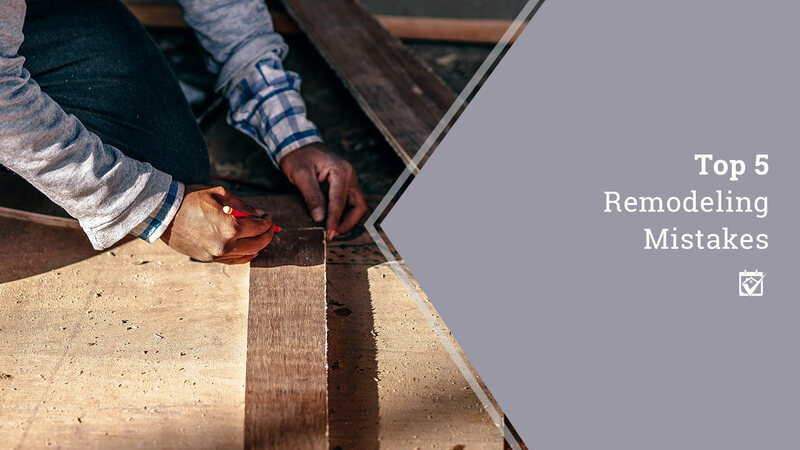 There’s a reason that certain types of work require a permit: they’re potentially damaging to the structure or otherwise dangerous and must be inspected for the safety of current and future occupants. When it comes to permits, the rules were not made to be broken. When you’re doing your budget, make sure to include extra fasteners, odds, and ends and about 20 percent on top of that for whatever: pizza, trips to the ER — player’s choice. Try not to spend too much time in the ER, though, that’ll really eat into your pizza budget. All jokes aside, though, it’s always better to budget way over for a remodel and have money left for appliance upgrades or just to toss in a savings account than to have a half finished kitchen that you have no idea how you’re going to complete.